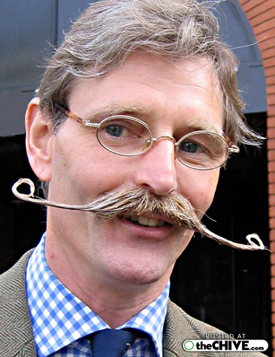 For many people growing a moustache is an effort and they will be happy to shave it off again once the month of Movember is over. For others it's a life choice. 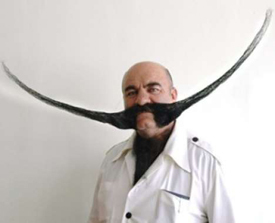 In this blog post I'm sharing some of the weirdest moustaches around the world. I could say something like 'feel inspired', but honestly, kids...don't try this at home! 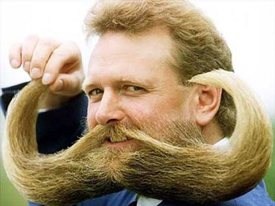 We know that some mammals, like elephants, have tusks, but we didn't know that some humans can grow them too. I'm sure this guy will not have any cold cheeks in winter. 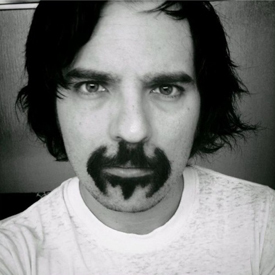 It's a bird...it's a plane...no, it's a moustache! 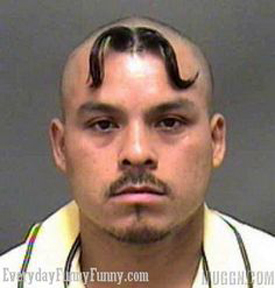 Interesting, original and probably needs lots of hair gel to keep it in shape. 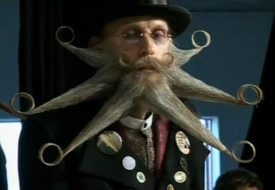 It looks like he's wearing lots of scissors, but actually, it's a moustache! Freaky, but impressive! I have to admit that I kind of like this one, but not because I would ever take one of those myself. I like it in the way that I like bubble wrap; the addiction of pushing the bubbles until they pop. 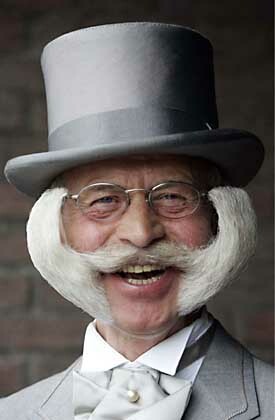 I just want to put two fingers in the curly parts of the moustache and pull really, really hard. Ooh, gotta love those antlers! This surely took some time to grow. I wonder how he puts on his shirt in the morning. A complete Christmas tree on your lip, that's impressive! 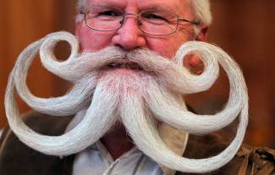 This guy goes all the way for Christmas. 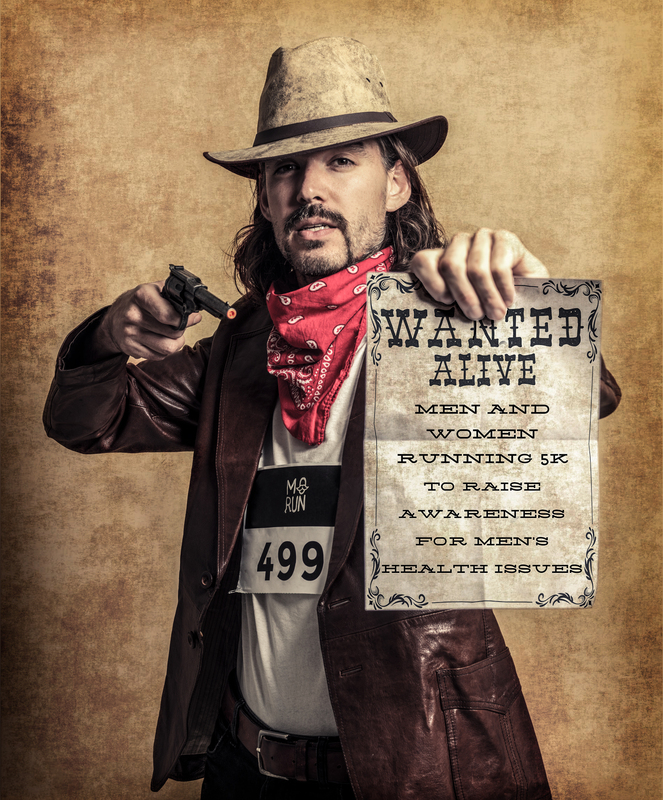 So if you want one of those, don't shave at the end of Movember! Until next time boys and girls! And don't forget to share the MoRun with all your friends, family and colleagues. Don't be a moron, MoRun!